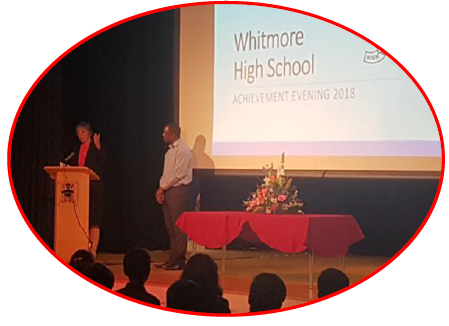 On the evening of Tuesday 10th July, Whitmore High School hosted its annual Achievement Evening to celebrate the successes of its student body. Achievement Evening is designed to recognise academic achievement and effort across the curriculum, as well as contributions to the wider school community, including sport, business and enterprise and charity work. 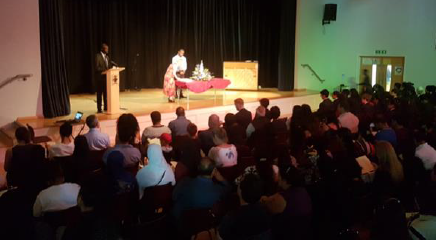 This year, the school was honoured to have ex-student Cory Lawrence speak at the event, and award students with their certificates and trophies. Cory has recently graduated from Christ's College, Cambridge University, with a degree in Law. 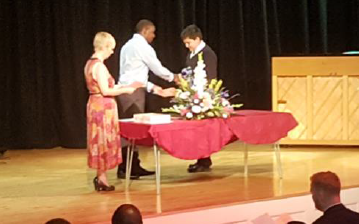 Winners were joined by their parents and carers, as well as the school’s staff and governors, who watched with pride as they met Cory on stage to receive their highly deserved awards. 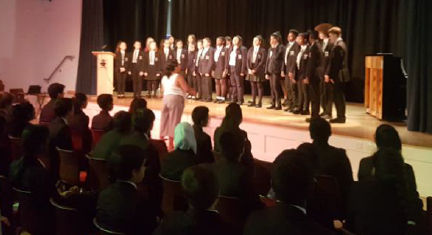 Guests were also treated to performances by the school’s Jazz Band and Choir. It was a wonderful evening, enjoyed by all that took part. Huge congratulations once again to all our exceptionally talented and hardworking students and finally, a thank you as always to parents and carers and staff for their continuing support and contribution to their success.